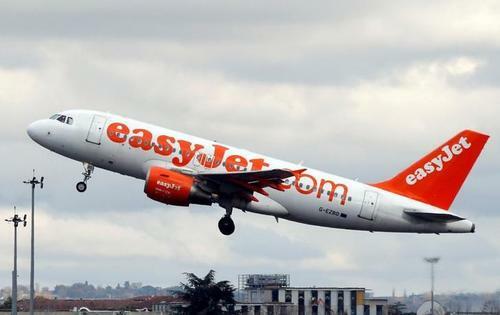 Reuters UKBritain's easyJet (EZJ.L) said it wanted a straightforward bilateral aviation agreement between the UK and the European Union as a minimum in a Brexit deal. 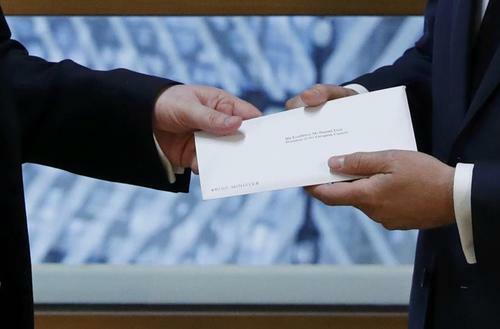 The European Banking Federation wants European Union and British negotiators to provide clarity on the terms of Britain's exit from the EU, after London triggered the process on Wednesday, so that banks can continue to finance the economy. 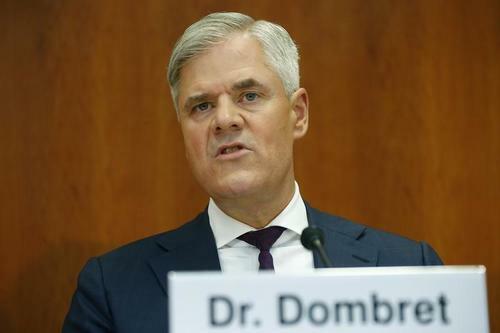 The EBF, which unites 32 national banking associations in Europe that together represent some 4,500 banks, said it was ready to help explain to policymakers the impact of the negotiations on the supervisory and regulatory framework and on business models. "The EBF is keen to see clarity and certainty for banks during this process so that the banking sector can continue financing the economy while serving customers to the fullest extent and without undue disruption," it said in a statement. 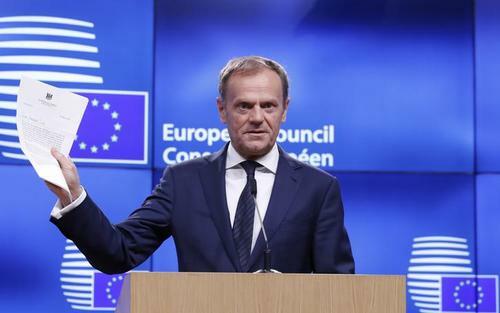 EU President Tusk says that he will soon return negotiation terms. 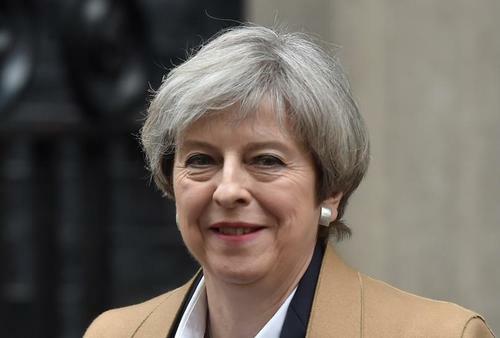 Reuters UKPrime Minister Theresa May said on Wednesday she would not try to "cherry pick" parts of European Union membership as Britain leaves the bloc, saying she respected its four freedoms. 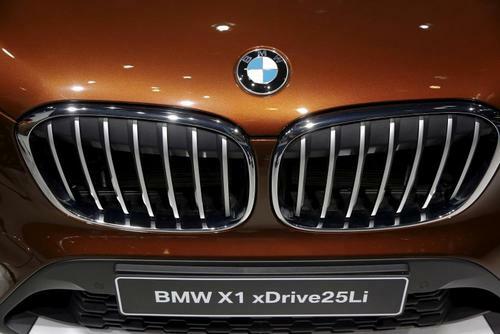 Reuters UKGerman carmaker BMW (BMWG.DE), which operates Mini and Rolls-Royce plants in Britain, said the country must listen to the views of global companies during Brexit talks, with continued tariff-free access to Europe of crucial importance. 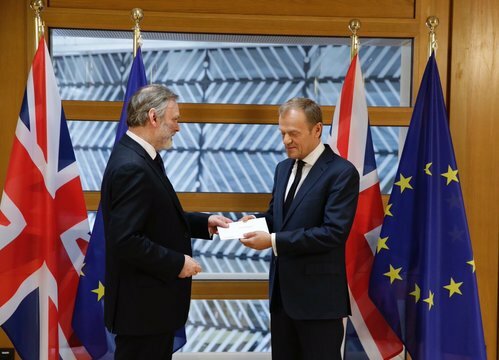 President Tusk says that until the UK leaves, EU law still applies. 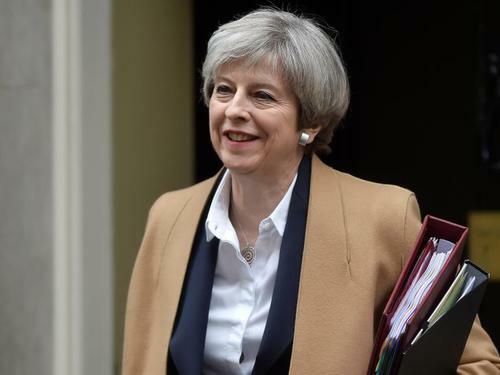 Reuters UKBritish Prime Minister Theresa May said on Wednesday she hoped to be able to agree a deal to clarify the position of European Union nationals in Britain and British nationals in the EU as early as possible in the Brexit negotiations. Reuters UKBritain aims to reach an agreement on its future relationship with the European Union within the two years set out under Article 50 of the bloc's Lisbon Treaty, Prime Minister Theresa May said on Wednesday. 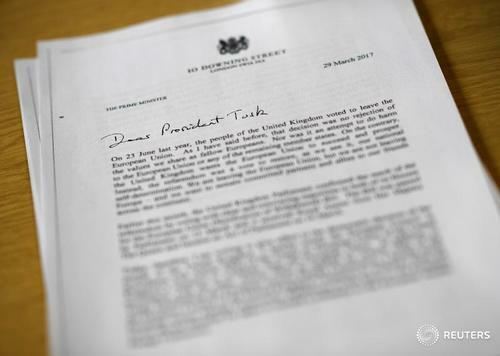 Reuters UKBelow is the text of the letter British Prime Minister Theresa May sent to European Council President Donald Tusk triggering Article 50 of the EU's Lisbon Treaty, the formal start of the process by which Britain will leave the European Union. 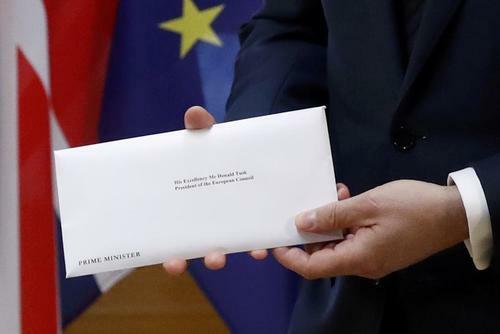 Germany says two-year Brexit timetable is "damn narrow"
The two-year period for Britain and the European Union to settle the terms of their split after British Prime Minister Theresa May filed divorce papers on Wednesday is very tight, a spokesman for the German Foreign Ministry said. "The time-frame is damn narrow," Martin Schaefer said at a regular government news conference. German Foreign Minister Sigmar Gabriel gives statement on trigger of Article 50. 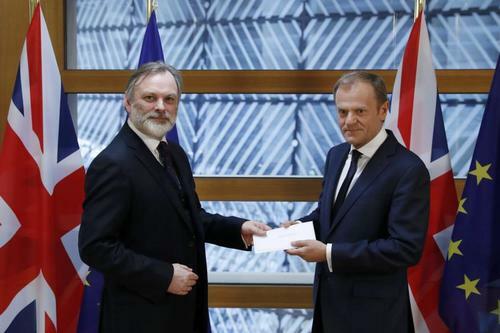 Donald Tusk says there's no pretending this is a happy day. 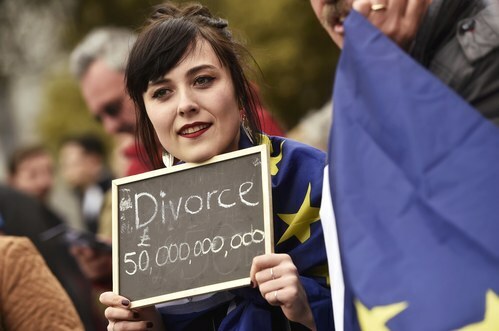 Reuters UKAfter nine months of preparation, bitter public argument and a battle with parliament, British Prime Minister Theresa May is launching talks with the European Union armed with a plan she hopes will secure a better divorce deal than many expect. 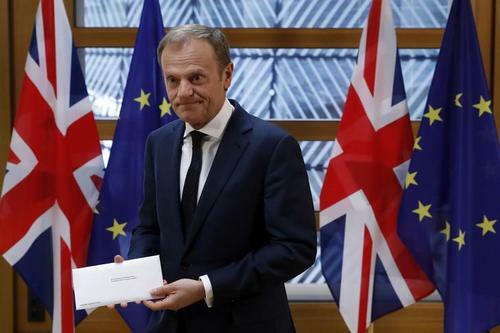 Reuters UKEuropean Council President Donald Tusk confirmed on Twitter that he had received Britain's Brexit notification letter on Wednesday, saying "After nine months the UK has delivered Brexit." Brexit launch gives sterling the jitters. 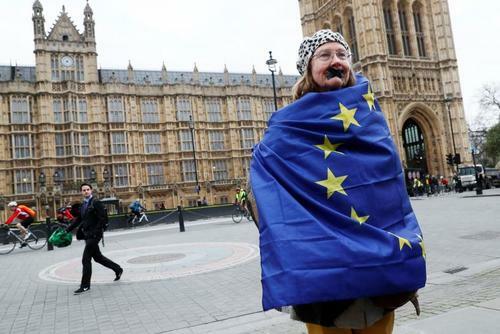 Reuters UKBritish businesses have endured a roller coaster ride since the vote to leave the European Union, with some ramping up their investment in the country and others pulling market flotations and ditching takeover deals. 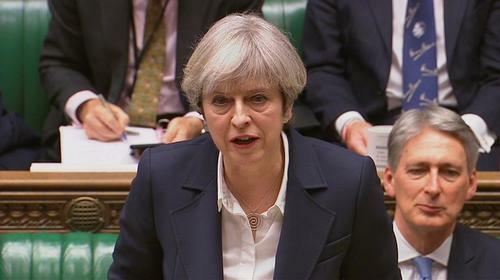 Reuters UKBritain has formally triggered the process of leaving the European Union, Prime Minister Theresa May said on Wednesday. We are going to build a stronger, fairer Britain, says May. 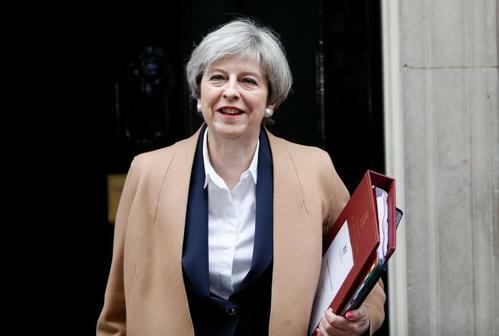 Reuters UKNow is the time for Britain to come together and ensure it gets the best Brexit deal possible, Prime Minister Theresa May said on Wednesday after the country formally triggered its exit from the European Union. 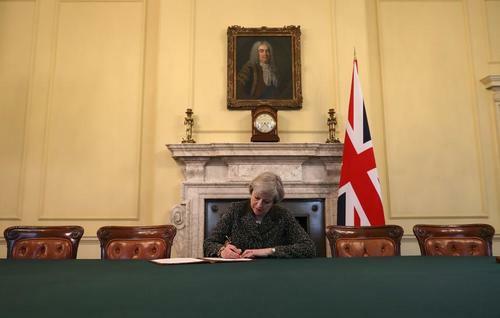 Reuters UKPrime Minister Theresa May filed formal Brexit divorce papers on Wednesday, pitching the United Kingdom into the unknown and triggering years of uncertain negotiations that will test the endurance of the European Union. 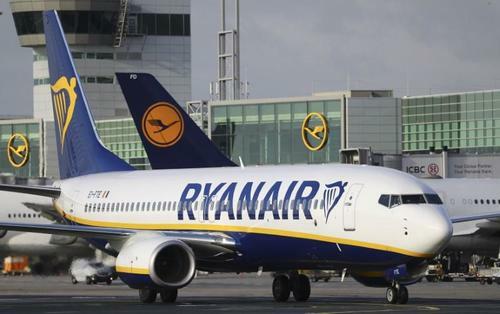 Reuters UKFord (F.N) and Ryanair (RYA.I) warned on Wednesday of the risks of Brexit including disruption to flights and tariffs on cars which could hurt Britain and damage businesses, on the day the prime minister was launching divorce proceedings from the EU. 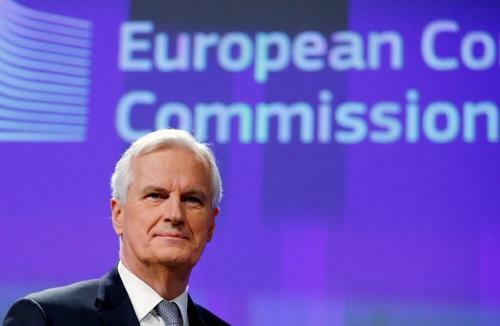 Reuters UKThe EU's chief negotiator in the talks on Britain's exit from the European Union said on Wednesday that "today is day one of a very difficult road".